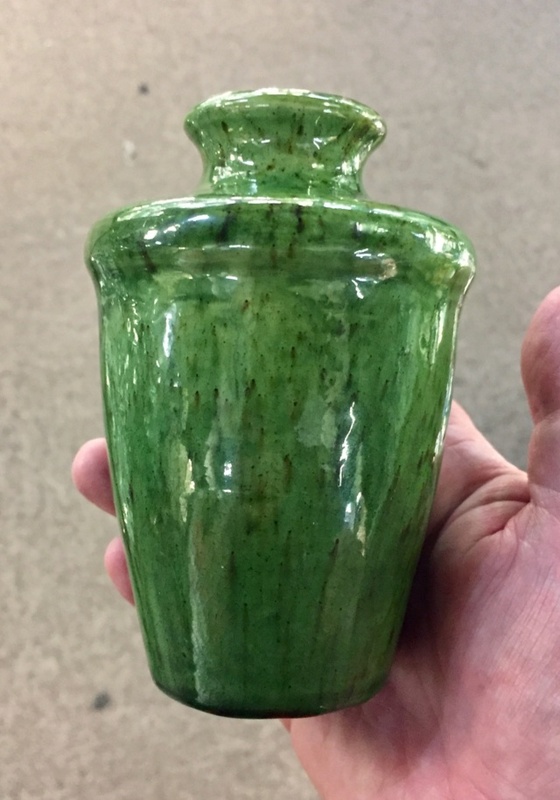 Re: Green small vase Rye? That's interesting. I hate the shape but love the glaze. I'm thinking continental art pottery. The glaze is Rye-style, with the little brown flecks. There is a touch of iridescence indicating a lead glaze which is why I thought a ~1900 date. But, not a shape I’ve found associated with Rye pieces. Belgium or Spain is possible. And Farnham? Well you have a chance with this one methinks as it's creamy earthenware under and marked "A"... DD could well be right with continental. Farnham I would suggest did not use white clay base?